When you live in an area that gets below freezing temperatures and lots of snow and ice, you need to think about how you’re going to keep your pets safe as well as the rest of your family. Pets are just as susceptible to the dangers of winter - like hypothermia and frostbite - as humans are so you need to take the necessary steps to keep your pets safe and warm this winter. Here’s how to do it. 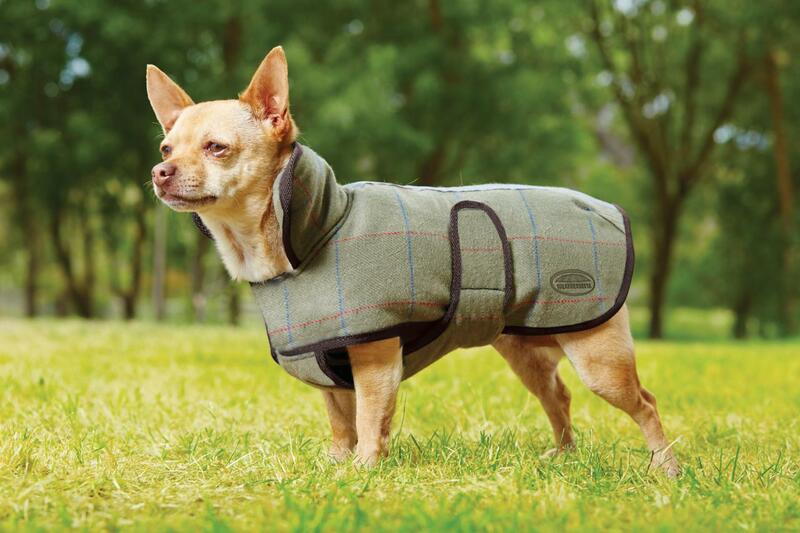 Invest in a warm, waterproof coat for your pet, especially if they like to go outside and play in the snow. Before you take your pet out, put petroleum jelly on the pads of his or her feet to keep them from drying out and cracking from the cold weather. If you like to take your dog for long walks in the winter, buy booties to keep his paws warm. Wipe down and dry off your pet every time she comes in from the outside, making sure to get any snow or wetness off her fur and especially between her toes. Pets use more energy in the winter to stay warm. Be sure to feed your pet a little extra food during the winter so he can get the energy he needs to be healthy. It’s no secret that the best way to keep your dog (or cat) safe and healthy this winter is to bring them in out of the cold and give them a warm place to sleep in your home, but if you absolutely have to put your dog outside this winter, you need to have a doghouse that can keep her warm and safe. 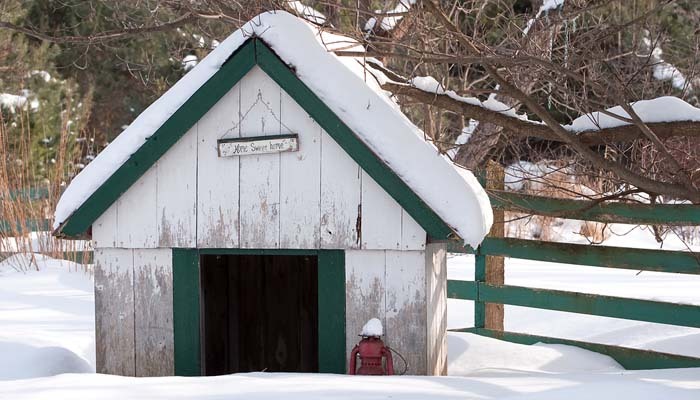 First, you’ll need to insulate your doghouse and make sure there are no drafts, holes, or cracks. Then you’ll have to make sure she has bedding that will keep her warm and off the ground. Finally, she’ll need access to fresh, clean water that’s not frozen. Never leave your pet outside for too long, and never leave her outside overnight. If your pet has free reign over your backyard and you have a swimming pool, you need to make sure it’s safe for the winter. Dogs and cats can fall into swimming pools and catch hypothermia or even drown. The safest way to secure your swimming pool this winter is by putting up a fence around it to keep your pets out. 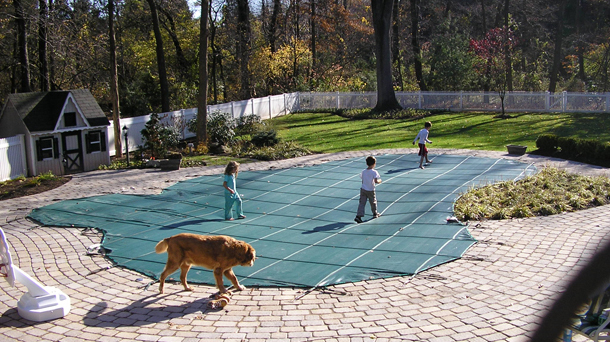 Another way to keep your pets safe from the dangers of swimming pools is to make sure they’re properly covered with a heavy-duty pool cover that stakes securely into the ground. When you live in an area that gets snow and ice build up on your roof and gutters, you need to take extra precautions to keep your roof and gutters clear of snow and ice. Pets can be seriously injured by falling icicles from your gutters and mini avalanches sliding off your roof. 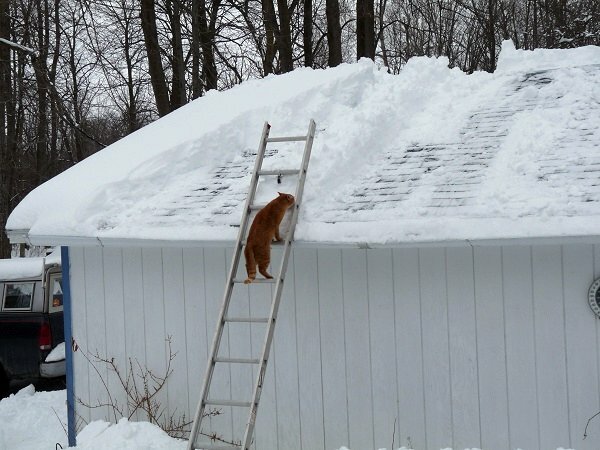 Always be sure to keep your gutters and roof clear of any ice or snow to prevent injury to your pets.